Consisting of identical twin brothers Amiri and Rahiem Taylor, drummer Patrick Jones, bassist/guitarist Josh Lugo, and Justin Jagbir (keys), Blac Rabbit — who made their Fest debut in 2018 before their appearance on The Ellen Degeneres show — will be in concert on the main stage on Saturday and the Apple Jam stage on Sunday. The guys will also be joining Liverpool during the jam at Saturday night’s concert. Amiri and Rahiem taught themselves how to play guitar and write songs based on The Beatles. They later formed Blac Rabbit. Tired of working boring grocery store jobs, Amiri and Rah started performing Beatles covers on the NYC subway, slowly building a reputation around the city while also performing their original material with the full band in New York’s best venues for up and coming acts. On December 23rd, 2017, the band released their debut self-titled EP, which was also self recorded and self mixed. The Taylor twins wrote all of the songs, and recorded every instrument on the EP, except for a few songs on which Jones played drums. 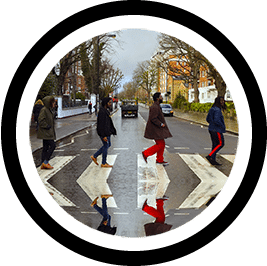 In January of 2018, Rah and Amiri were filmed performing Beatles songs on the train. One of the videos went viral, generating over 25M streams, leading to numerous TV and radio appearances, including The Ellen Degeneres Show. The band also recorded a cover of “Michelle” by the The Beatles for a Gucci ad campaign featuring Harry Styles. Meanwhile Blac Rabbit has been touring globally and recording their debut full length album titled “Interstella,” set for release in spring 2019. The first single from the album, “Seize the Day” was released on November 19th, 2018 while the band was on their first European tour.